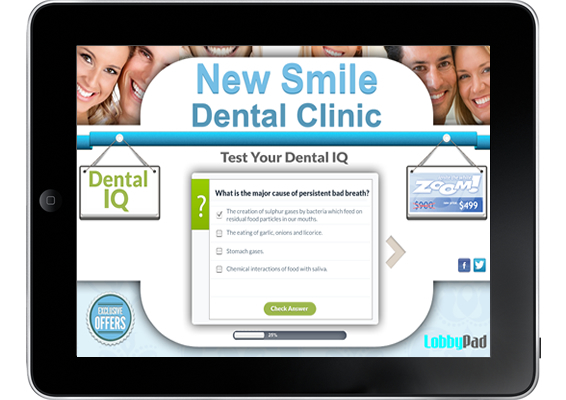 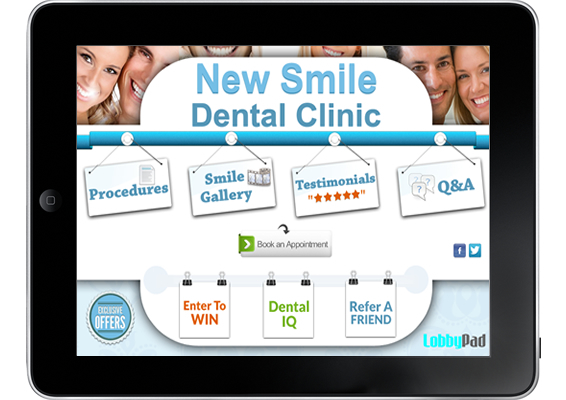 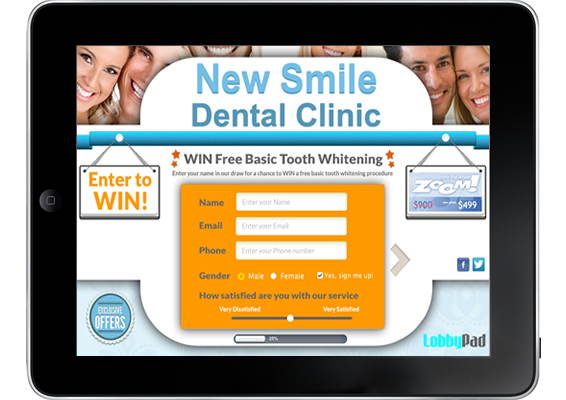 Enhance your Dental or Medical Clinic with LobbyPad's interactive kiosk solutions. 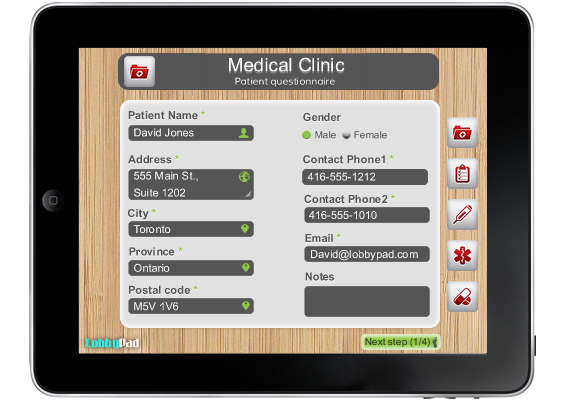 Your patients will enjoy the easy to use self-service attendant to book appointments, browse procedures, refer a family member or friend, complete feedback surveys and other services built to your specifications. 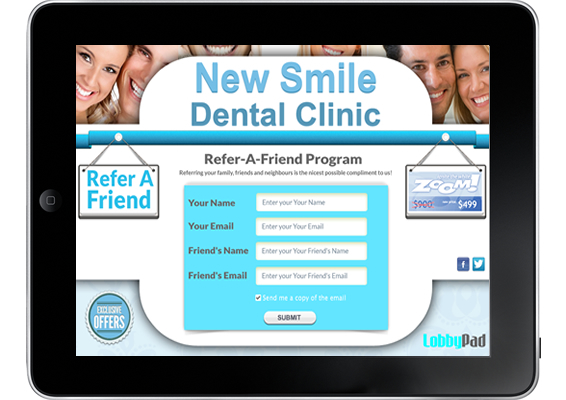 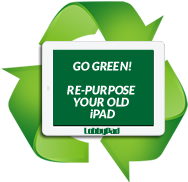 Make LobbyPad an integral part of your clinic and a welcoming experience for your patients.